I was waiting for you unveil that car when I saw it in some youtube videos and pontiac sites. It didn't take long....Thank You!!! Absolutely love it. 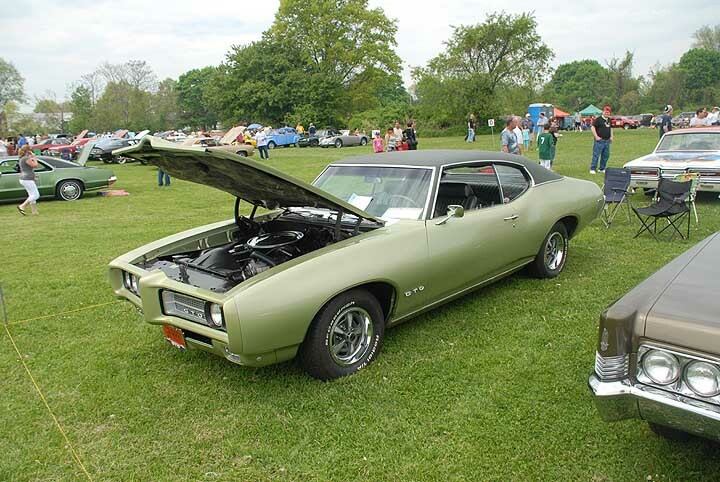 I have a 1969 GTO in the same color combination going through a frame on restoration as I type this. The big items that are different...hardtop and base 400cid (350hp). I bought the car in 2007 and had in storage until I could get to. The paint has been done just waiting for the engine to be rebuilt. The engine will look stock, but will have a lot of internal mods. It will be a 400 stroker to 440 cid. The 48 heads will be ported to the hilt and going with a HR cam. Oversized D port exhaust manifolds will be used. The Muncie M-20 will be retained along with the 10 bolt 3.55 rear gears. The only items I'm adding will be a rally gauge cluster and a front disk brake conversion. Here is a picture from a few years ago. Thanks again for a great video on an awesome car!! Level One does a great job on the restorations.